Dr. Zahalsky has been married to his wife Michelle for sixteen years, and they have three children – ages 11, 9, and 6. He is very active in the local PTA and has coached his youngest son’s T-ball team. Dr. Zahalsky is very excited to be a part of the Activ Doctors team. He has been part of the board since the launch in October of 2010. Professor Olivier Cussenot is full professor at the Paris-VI University and is an elected member of the Institut Universitaire de France. He is also a consultant surgeon, fully qualified in general surgery, urology, oncology and genetics, in the Academic department of Urology at Tenon’s and Pitié Salpétrière Hospitals (Assistance Publique – Hôpitaux de Paris, France). He is specialized in the management of prostate diseases, cancers in urology, and surgery for kidney transplant. He is also the main investigator of the French national program in translational research on predictive molecular markers dedicated to cancers in urology. He is the head of the Center of Reasearch on Prostatic Pathologies. He was previously the chairman of the clinical research group at the French National Cancer Institute (INCA) and of the scientific board of the patients’s association on prostate cancer. He is member of the “Association Française d’Urologie” (AFU), European Association of Urology (EAU), American Urological Association (AUA), American Association for Cancer Research (AACR); American Society of Oncology (ASCO). He has written for more than 50 books on Prostatic diseases and published more than 300 articles in the field of urological cancers and prostatic diseases. See more here. Professor François Durand is Chief of Hepatology at Beaujon Hospital – which is a nationally and internationally recognized referral center in the discipline. 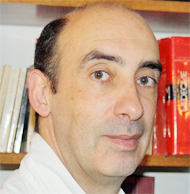 He is also Professor of Hepatology at the University Paris VII Diderot and INSERM team affiliated with the Research Center Bichat-Beaujon CRB3. Professor Durand is particularly involved in the management of acute liver failure, terminal liver disease associated with organ failure. He is the medical director of the liver transplant program at Beaujon Hospital and supports transplant candidates and transplant patients. 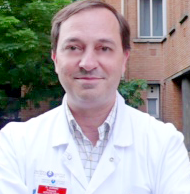 Professor Durand has conducted research in areas related to acute liver failure (mechanisms, management and transplantation), with organ failure in cirrhosis, the management of hepatocellular carcinoma prior to transplantation, optimizing the allocation of donor liver transplantation for the treatment of viral hepatitis before and after transplantation and optimization of immunosuppressive therapy in the prevention of graft rejection. This work has led to over 200 publications in top international journals dedicated to liver disease and transplantation. 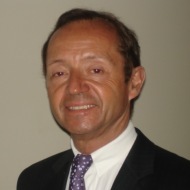 Jacques Azorin F MD, MsC, is a professor at Paris XIII University and the Head of Thoracic and Vascular Surgery at Avicenne Hospital in Bobigny. After having been accepted to a hospital internship in Paris in 1974, he spent two years as a resident at the Heart Institute of Montreal, Canada. His research focused on the study of critical and significant coronary artery stenosis. During the second year of his residency, he dedicated himself to interventional cardiology. In France he trained as a resident in cardiac, visceral, and oncological surgery before deciding to specialize in thoracic and vascular surgery. Appointed department head in 1991, Dr. Azorin developed a technique of videothoracoscopy with pulmonary VATS lobectomy. Currently, he leads a team whose research on tracheal surgery is internationally recognized. He teaches at the Faculty of Paris XIII. He has been summoned as an expert witness at the Court of Appeal of Paris, the Administrative Tribunal, and a National Expert at the Cour de Cassation. He is general secretary of the French Thoracic and Cardiovascular Surgery Society and a member of the Vascular Surgery Society and the Respiratory Disease Society. He coordinates a board of Professors of Medicine and Surgery and medical doctors in different fields of medicine to provide professional support to patients and practitioners. 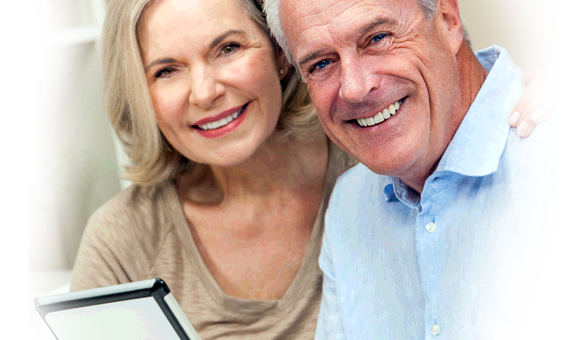 He thinks Activ Doctors provides a fantastic opportunity for patients to store their medical records online while obtaining invaluable access to professional advice on nearly any medical condition. Originally from Caracas, Venezuela, Rafael Grossmann, MD, FACS is a General, Trauma, Advanced Laparoscopic and Robotic surgeon who now lives and practices in Maine, USA. As a FutureMed/ Singularity University alumnus, his passion is the intersection of Innovation Technology and Healthcare. 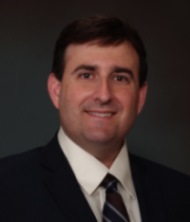 Dr. Grossmann is an avid blogger & Healthcare social media user. 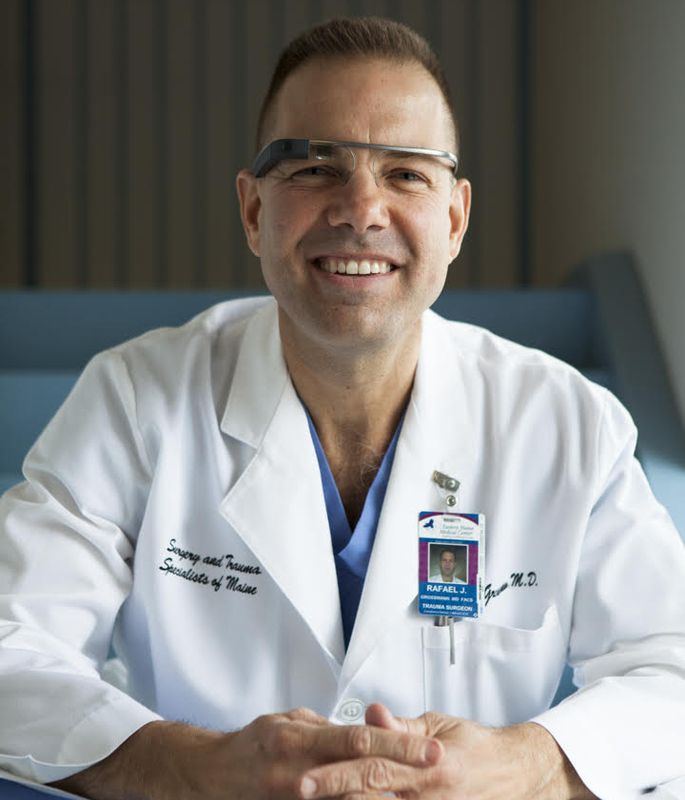 He is one of the few Google Glass Explorers in the world, and was the first Doctor to ever use Google Glass during live surgery and in Medical Ed. Rafael was also a TEDx speaker at TEDxDirigo 2011, TEDx Bermuda 2013 and TEDxDirigo 2013. He is an international speaker, including the MedicineX conference in Stanford, CA 2013, in Amsterdam, Holland, in October 2013, as well as Hungary, Seoul and Paris. Practicing in a rural area like Maine, and being a telemedicine innovator, Dr. Grossmann is a strong believer on the power of technology to better connect providers and patients. He is convinced that Innovation in Healthcare Technology along with the current developments in mobile and wearable platforms will exponentially improve healthcare connectivity, communication and data management, and result in a more efficient, intuitive, less expensive and ultimately better patient care.